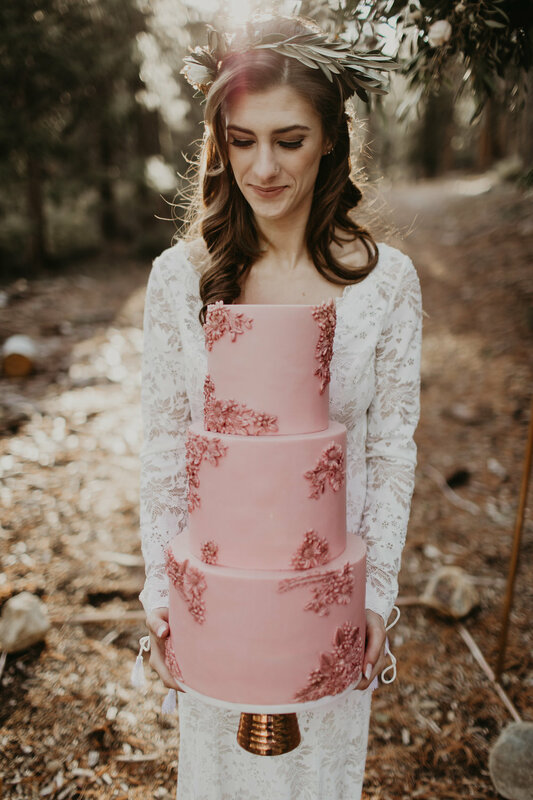 This romantic, bohemian styled elopement took place at the Granlibakken in Tahoe. It was a gorgeous January day for a team of talented individuals to come together and create some magic. 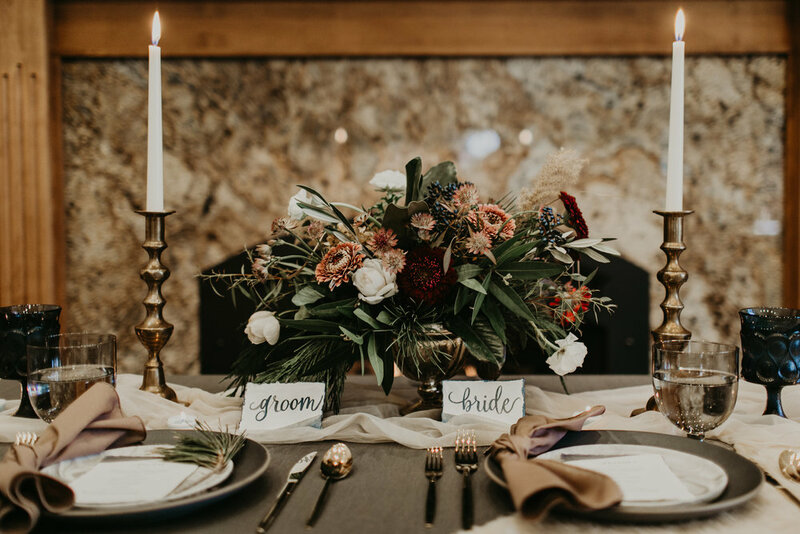 Thanks to the detailed event styling of Wilder Events Co. and the beautiful imagery captured by the talented, Charissa Cooper, our models, Kalista and Colten's, love really radiated. Kalista modeled a gorgeous wedding gown from Epiphany and they wore rings from Pave Fine Jewelry. Later, they indulged in the most delectable macarons by Rose Quartz Cakery and snuggled up by the fire. 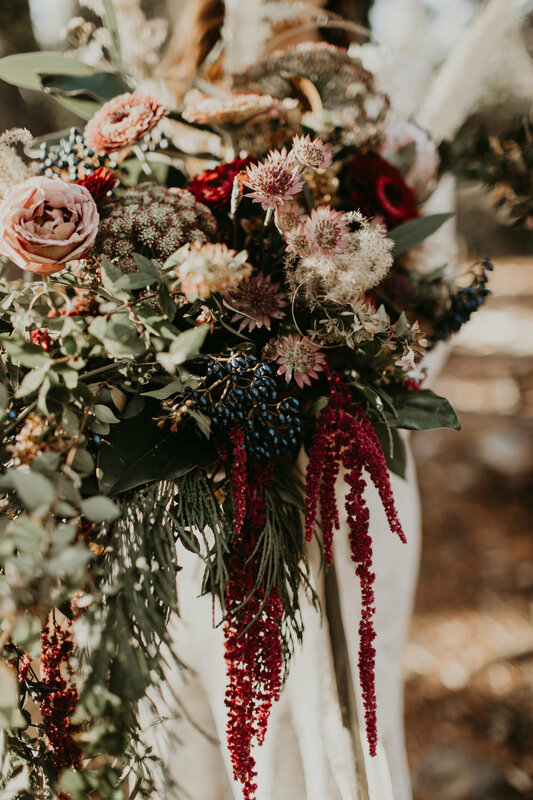 Of course, the florals were styled by yours truly and as always, flowers and foliage are 100% California grown. Silk Ribbon treatment by Ecotone Threads. I hope more couples choose winter in Tahoe as a destination for their wedding. These photos prove that it can be so dreamy!